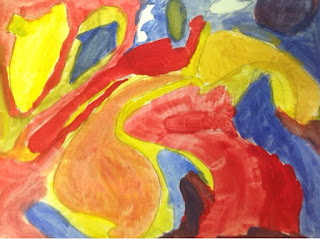 I love doing Abstract Expressionism with my 3rd graders! We look at a huge collection of images so they can see the many different approaches artists used within the movement. 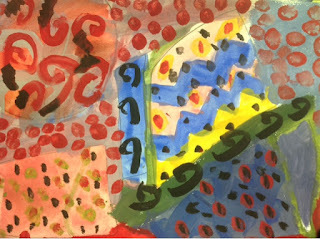 I focus in on the shapes, colors, and movement of the work that help to convey emotion in a work. 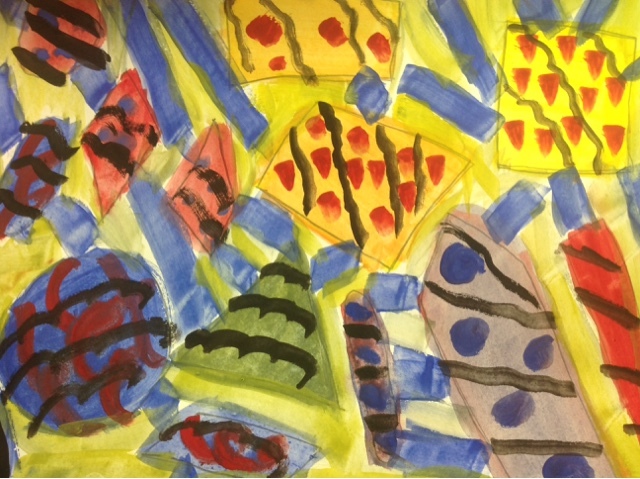 I allowed them to use a pencil to draw in some basic shapes/lines they wanted in their work, but encouraged them to create most of the work using their brushes. They were nervous about this(we usually draw before painting), but they embraced the challenge and really seemed to enjoy this out of "our" box approach. After many years of thinking about it...I finally ordered tempera cakes. This is the lesson we broke them in on!!! 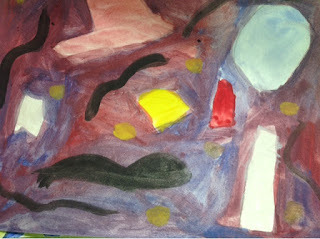 I limited their palette to the primaries, white, and black. I encouraged them to use the black last to do more expressive line work with it using their small brush. Here are some of the results! Many of the students used the colors in their pure form and did not explore color mixing much.